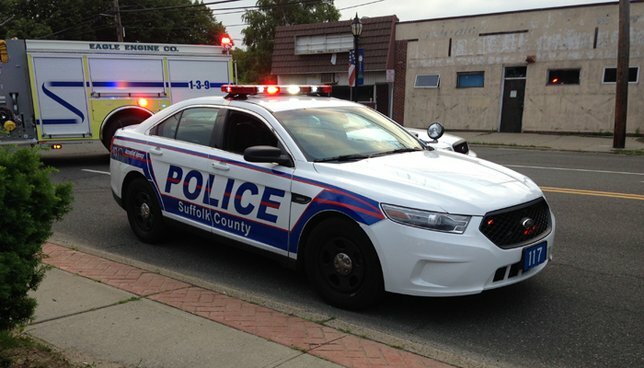 April 16, 2019 - Suffolk County Police Sixth Squad detectives are investigating a motor vehicle crash that killed a pedestrian in Port Jefferson Station on Saturday, April 13. Jacob Cindone was driving a 2018 Hyundai Santa Fe westbound on Nesconset Highway, near William Street, when his vehicle struck a woman who was walking in the road at 5:25 a.m. The pedestrian, Katlin Catalano, 27, undomiciled, was pronounced dead at the scene by a physician assistant from the Office of the Suffolk County Medical Examiner. Cindone, 30, of Miller Place, was not injured. The vehicle was impounded for a safety check. Detectives are asking anyone with information on the crash to call the Sixth Squad at 631-854-8652. Subject: LongIsland.com - Your Name sent you Article details of "Police: Homeless Pedestrian Killed in Port Jefferson Station Vehicle Crash"